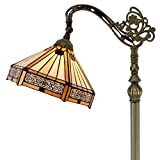 Found 5392 Tiffany Lamps Tiffany Lamps Products. 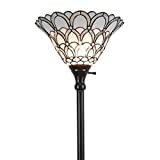 Add warmth to your home decor with this unique Tiffany-style floor lamp. 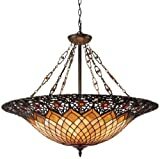 This lighting fixture features a classic style to fit in any room. 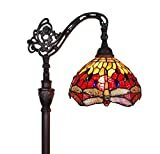 This lamp is handcrafted using the same techniques that were developed by Louis Comfort Tiffany in the early 1900s. Note: Shade colors will appear darker and less vibrant when not illuminated. WARNING: Attention California residents: This product contains lead, a chemical known to the State of California to cause cancer and birth defects or other reproductive harm. This stained glass product has been protected with mineral oil as part of the finishing process. Please use a soft dry cloth to remove any excess oil. 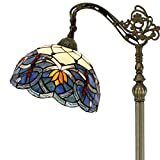 This elegant table lamp from Robert Louis Tiffany offers your space ample illumination in a warm design, lending its appeal to classic or contemporary interiors. Dual pull chains allow for adjustable light, while the integrated night light in the lamp's base provides a soothing, subtle glow that is perfect for evenings. 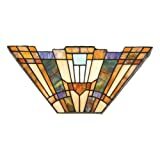 The glass has been assembled using the traditional Tiffany-style copper foil technique. Slight variations due to the natural tone and pattern of art glass make each shade unique. Our Aldridge table lamp is a modern twist on classic Tiffany style. Large panels of creamy amber art glass provide an excellent backdrop for panels of yellow, green, blue and red peacock-inspired insets at each point of the scalloped shade. 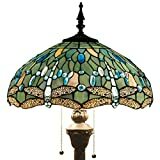 Each of the 108 pieces of art glass and art glass jewels in the shade have been individually hand rolled and copper foiled using the same technique first developed by Louis Comfort Tiffany. 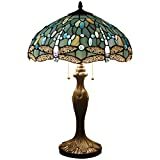 The peacock theme continues in the intricately carved metal base, which is finished in rich antique bronze for an authentic Tiffany feel. The perfect choice for an end table or larger nightstand, Aldridge's timeless beauty will become the focal point in any room where it is displayed. 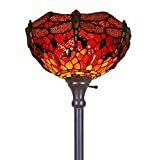 Ablaze with prismatic color, the Northlake table lamp is both artistic and functional. Almost 400 pieces of art glass, each piece hand rolled and individually set in copper foil, glow warmly on the dome shaped shade. 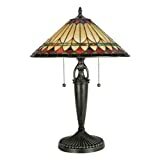 The intense earthen tones in this lamp will beautifully accentuate any décor in your home or office. 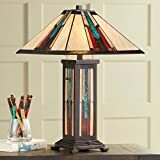 Delicate carving on the metal base’s top and raised pedestal bottom signify the quality and artisanship you have come to expect from Dale Tiffany. The base is finished in a beautiful antique bronze finish. Dale Lighting leverages its vast creative skills to develop unique and exclusive fashion forward designs that blend perfectly with today's current home fashion trends and lifestyles. 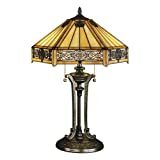 The same high quality standards, materials, craftsmanship, and techniques are used throughout all Dale Tiffany brands and collections ensuring your Dale Lighting product will become the next generation of heirlooms.